A controversial Church of Scotland report which questioned the divine right of Jews to the land of Israel has been rewritten. The 10-page discussion paper is due to be debated and voted on at the Kirk's general assembly next week. Last week Israel's ambassador to the UK described it as "truly hurtful". The Kirk said its revised version of The Inheritance of Abraham? paid attention to the concern over some of the language in the earlier report. The Church of Scotland made the changes following a meeting with representatives of the Jewish community in Britain facilitated by the Council of Christians and Jews. Reverend Sally Foster-Fulton, convener of the Kirk's church and society council which compiled the report, said: "We are grateful for the dialogue that has grown out of the questions being asked of our report. "We believe that this new version has paid attention to the concern some of the language of the previous version caused amongst the Jewish community whilst holding true to our concerns about the injustices being perpetrated because of policies of the government of Israel against the Palestinian people that we wanted to highlight. "The views of this report are consistent with the views held by the Church of Scotland over many years." 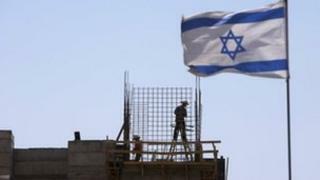 She added: "We are clear that the citizens of the State of Israel have a right to live in peace and security. We are clear that there should be a Palestinian State which also can live in peace and security. "We condemn anti-Semitism and Islamophobia. We will always condemn acts of terrorism, violence and intimidation whether the perpetrator is an individual, a community or a government." Last week the Israeli ambassador to the UK, Daniel Taub, said the report "plays into extremist political positions" and "belittles the deeply held Jewish attachment to the land of Israel in a way which is truly hurtful". The report stated there had been a widespread assumption by many Christians, as well as many Jewish people, that the Bible "supports an essentially Jewish state of Israel". But its authors said an "increasing number of difficulties and current Israeli policies regarding the Palestinians" had led to this viewpoint being questioned. They wrote: "Possession of any land is clearly conditional. The question that arises is this: Would the Jewish people today have a fairer claim to the land if they dealt justly with the Palestinians?"